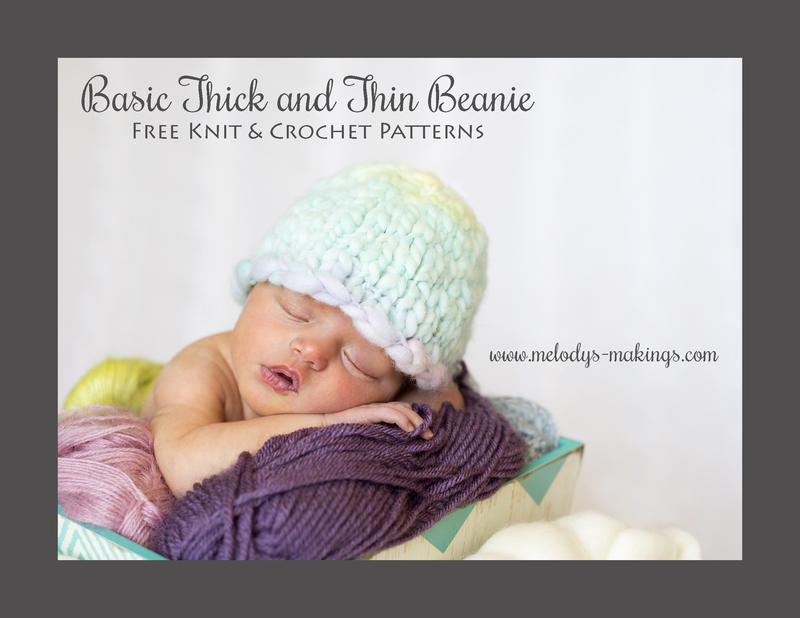 Free Knit and Crochet Beanie Patterns. All Sizes Newborn through Adult. When I first started knitting, I had no idea that there were different sizes of yarn….and if you’d mentioned different textures, my jaw would have hit the floor! It took me a few years to discover the joys of Super Bulky, or the beauty of lace. One of my all time favorite types of yarn, though, is Handspun Thick and Thin. You’ll find a gorgeous selection of it on Etsy. This beautiful textured yarn comes in a variety of weights and colors, and is usually super soft and works up with an awesome texture. Today’s freebie is a fun, super simple, and quick project that features Handspun Thick and Thin Yarn. If you don’t have any already in your stash, though, you can also substitute whatever weight yarn the pattern calls for. 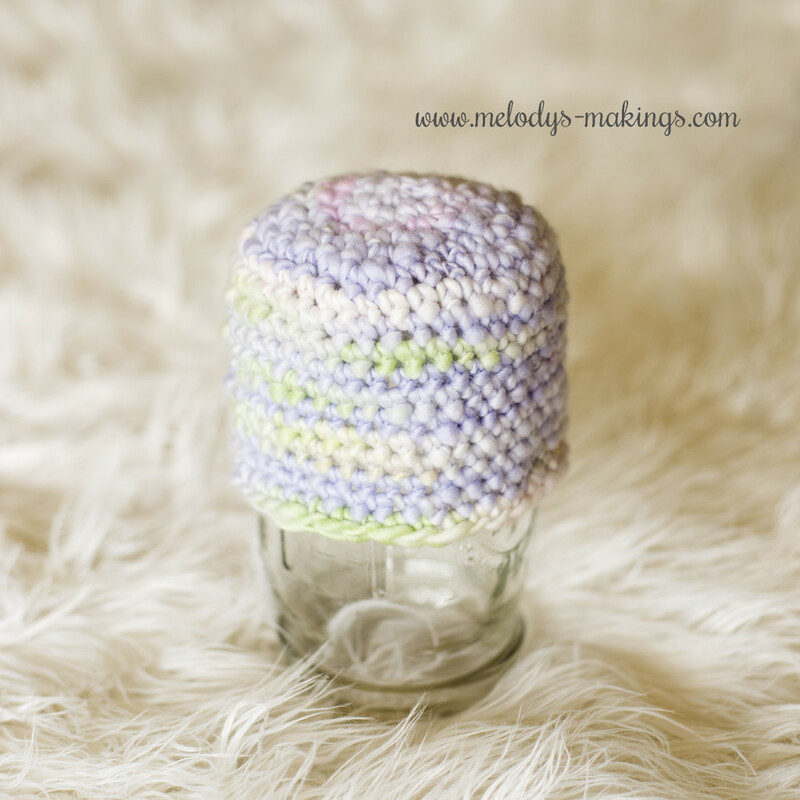 This beanie will look great in a normal yarn as well…..the handspun just makes it pop! I’ve created both a knit and a crochet version of this cute pattern, and included all sizes Newborn through Adult. 1: Head over to Ravelry and favorite the pattern listing. You’ll find the knit version here. You’ll find the crochet version here. 3: Download the knit pattern by clicking here. How adorable she is! The basic beanie is something we all need in our tool kit. A great base for so many things. Thanks and enjoy your living doll! This is really cute! You are a very talented and AMAZING PERSON! Especially when you have a precious new baby! Thanks so much! Oh such an adorable little baby girl, the hat is precious as well. Thank you for sharing both versions with us. She is a doll.. Thank you for the pattern. Thanks so much for sharing this pattern. Can’t wait to try it out. Thank you! this is so adorable….. appreciate the gift of this pattern! Thank you very much,both are beautiful!! !